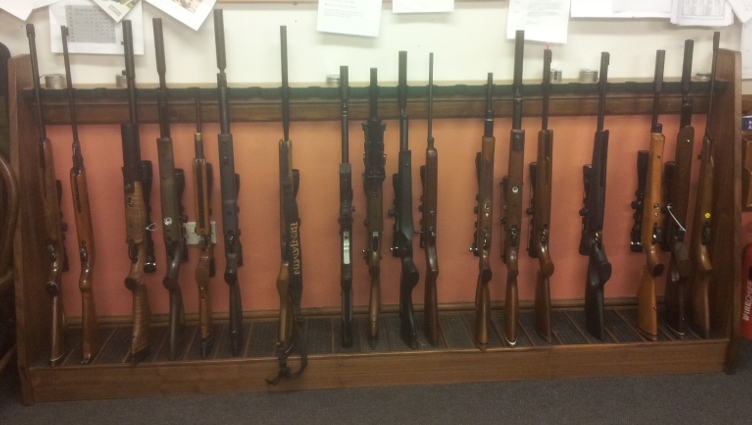 Welcome to the best little rifle club in England! Caterham and District Rifle club was established in 1907 and is still a very active smallbore club with over 150 members. We shoot in a purpose bulit range at distances up to 25 yards. We shoot all of the current smallbore disciplines including Prone (lying down), Light Sporting Rifle (standing up), Air Rifle and Air Pistol. Air disciplines can be shot at 20 yards or the ISSF distance of 10 Metres. Membership is open to everyone aged 12 and above for air rifle or 16 for rimfire. Anyone aged below 18 must be accompanied by a parent, guardian or someone over 18 acting in loco parentis. Membership cost is just £50 per annum for adults, £15 for juniors and £25 for under 21s. A green fee of £4 for adults and £1 for juniors is charged each visit.